A gifted composer in addition to being an expressive vocalist and pianist, Daniela Schächter focuses her attention on a single songwriter for the first time in her career on her fourth album, Vanheusenism: A Tribute to Jimmy Van Heusen (due out September 9). The album features 11 tunes from the pen of Van Heusen, one of the most prolific and celebrated songwriters of the 20th century, along with the title track, written as a tribute by Schächter. Born in 1913, Jimmy Van Heusen wrote dozens of songs that have become timeless standards, several of which are included herein – including “All the Way,” “Darn That Dream,” “Here’s That Rainy Day,” and “Come Fly With Me.” He was best known for his long association with Frank Sinatra (he rushed Ol’ Blue Eyes to the hospital after Sinatra’s failed suicide attempt in the aftermath of his split with Ava Gardner), his collaborations with lyricist Sammy Cahn providing the titles for several of Sinatra’s classic albums from the late 1950s. But he composed hundreds of songs over the course of his long career, writing for film, television and theater and garnering an Emmy and four Academy Awards. On Vanheusenism, these songs are reinvigorated by a skilled and deftly communicative band, all longtime associates of Schächter’s. Both tenor saxophonist Mike Tucker and drummer Mark Walker are frequent collaborators in the singer/pianist’s adopted hometown of Boston, where she teaches at Berklee College of Music. 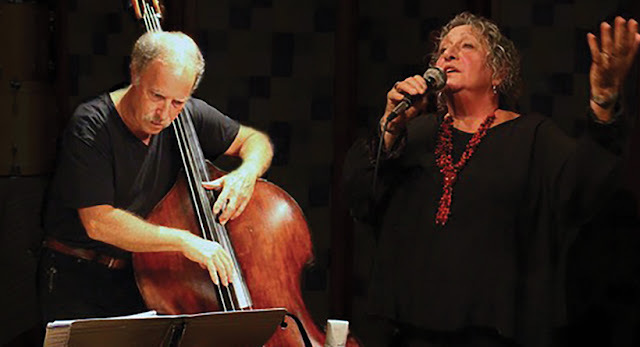 Bassist Michael O’Brien, who engages Schächter in a playful, spirited duo version of “Call Me Irresponsible,” enjoyed a lengthy trio stint with her during a residency at the New York City club The Garage. 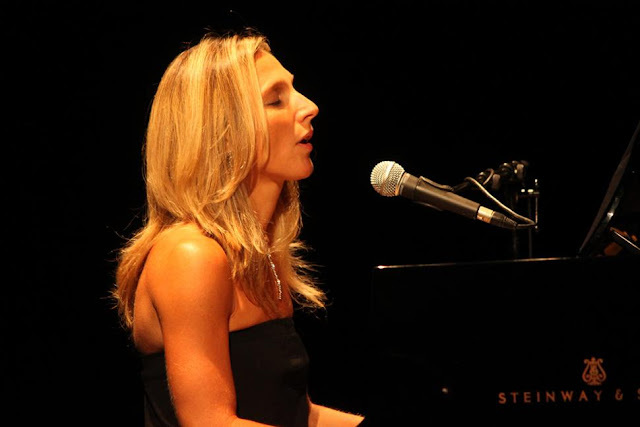 Born in Sicily, Schächter studied at Berklee College of Music and the Henry Mancini Institute at UCLA. She went on to win Betty Carter’s Jazz Ahead Competition in 2002 and the Mary Lou Williams Jazz Piano Competition in 2005, and has performed with influential artists including the Clayton-Hamilton Jazz Orchestra, Terri Lyne Carrington, Patti Austin, Marian McPartland, Regina Carter, Kevin Mahogany, Christian McBride, Tiger Okoshi and Shirley Horn, among others. She has also performed under the baton of such notable jazz and classical conductors as Quincy Jones, Patrick Williams, Jerry Goldsmith, John Clayton Jr., Elmer Bernstein, Bob Brookmeyer, Justin DiCioccio and Phil Wilson. Throughout Vanheusenism, Schächter puts her own unique and elegant spin on Van Heusen’s classic songs, often reimagining the songs’ harmonic texture or rhythmic sensibility to make them her own. 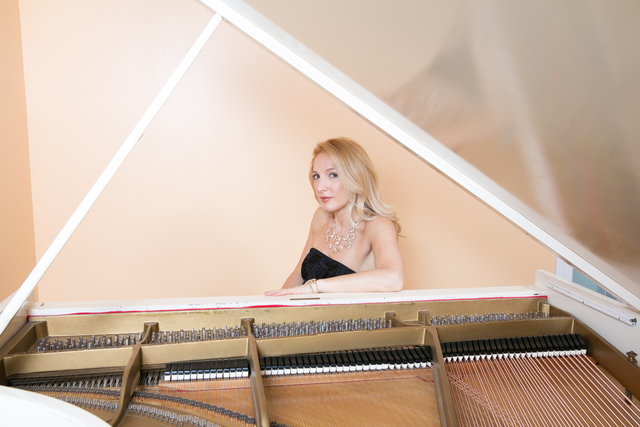 “Polka Dots and Moonbeams,” for instance, typically rendered as a winsome ballad, takes on a bright mid-tempo pace in Schächter’s version, her harmonic changes capturing the sense of wonder and discovery in the lyrics. Similarly, “Darn That Dream” captures the mystified consternation of the lyrics, Schächter vividly rendering the groggy frustration as dream dissipates into lovelorn wakefulness. She added a new intro and outro to “Here’s That Rainy Day,” which opens the album, and contributed a brand new song in the composer’s recognizable style. “Vanheusenism” combines several elements gleaned from Van Heusen’s oeuvre (check the motif that the bass and sax play in unison, for instance) into a new love song featuring a romantic solo by Tucker. While Vanheusenism marks Schächter’s first foray into Songbook territory, it follows her previous releases in building an album around a unifying central concept. Her last release, Purple Butterfly, focused on the feeling of loneliness and yearning through changing seasons, moving thematically through nearly a full calendar year; its predecessor, I Colori Del Mare, was centered on her Sicilian motherland. "Where jazz meets Latin with elegance and soulŠ" - The Boston Globe. 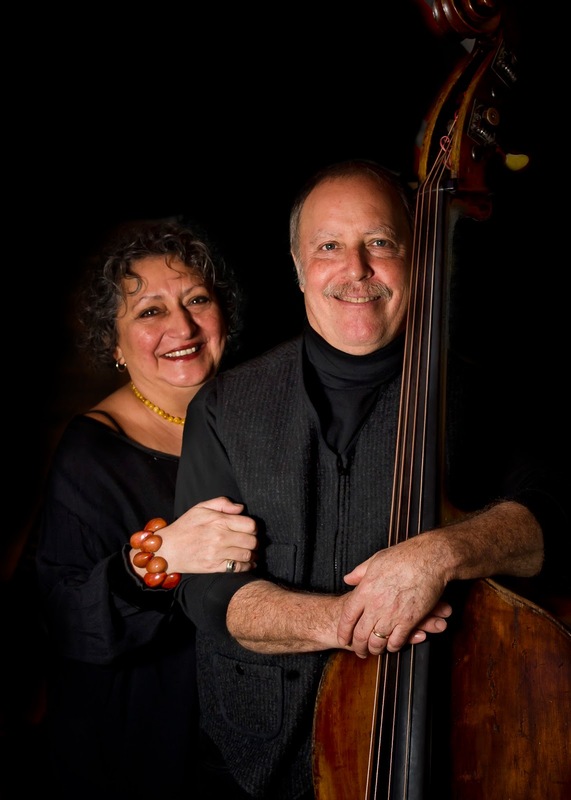 Since first joining forces over a quarter-century ago, vocalist Mili Bermejo and bassist Dan Greenspan have created a recorded library of timeless music with a number of cherished partners. For those fortunate enough to experience them in live performance, however, the lingering memory of this brilliantly skilled and totally compatible couple is likely to be the moments when they stand alone. "We have always wanted to make pure music," Greenspan explains, "and have always included duo tunes in our sets." On October 7, 2016 the pair releases their first all-duo program in two decades, Arte de Duo, on Ediciones Pentagrama. 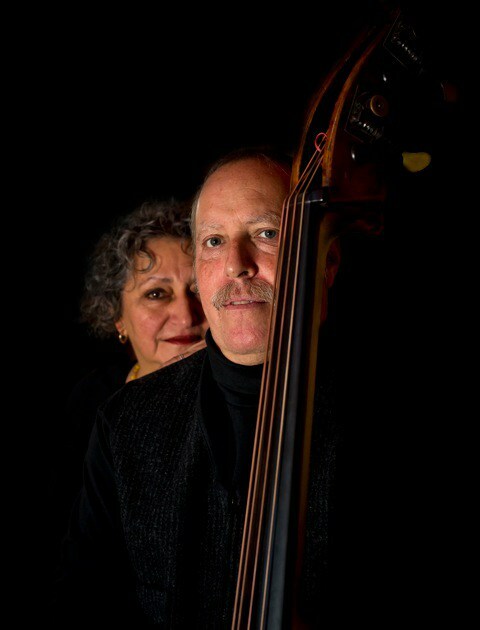 Bermejo, born in Buenos Aires, raised in Mexico City and a professor at Berklee College of Music since 1984, and Greenspan, a New Haven native and classically trained cellist who became one of the Boston area's leading freelance bassists, have created a unique body of music that applies jazz improvisation to original songs and music from throughout the Americas. Themes of political liberation, environmental responsibility and interpersonal commitment have defined both their music and their career and led them to a major life decison. "The business changed so much post-9/11 that we had to decide whether we should reinvent ourselves," Bermejo notes. This led to what Greenspan describes as "an entire creative undertaking of another kind" - a move to New Hampshire, where the couple built their own house. "We decided to live the right way," Bermejo says of their relocation to a nature reserve. "It has brought us closer and closer to `do it yourself,' including growing as much of our own food and making as many of our own clothes as possible. It has purified us, and removed many of our frustrations." But, Greenspan adds, "For a while, the move replaced music. Finding opportunities to rehearse in Boston when everyone we worked with had so many other gigs became hell." The bassist also turned his attention to baking and has built a growing reputation with his Dan's Brick Oven Bread, while a construction accident also left him unable to play for several months. The future of their performing partnership became unclear. "But Mili insisted that we couldn't let the music go," Greenspan stresses, and the result is a new focus on the intimate artistry that had previously only been showcased on their 1997 album Duo which was released on Gunther Schuller's GM Records. "It got us back to the essence of art," he says, "and provides the best opportunity to use all of the classical information that we have." Yet the new music, developed over a series of monthly gigs at the Lilypad in Cambridge, Massachusetts, takes the pair beyond their previous achievements. "We didn't want to repeat ourselves," Bermejo adds. "Now we reduce. I think of the music like my garden, as being all about beauty after years of work. And nobody told me how to do it." The influence of life in New Hampshire is clear in the Bermejo originals "La Casa del Arbol" ("The Tree House"), about "a secret refugeŠamong trees and stars" and "Cosecha" ("Harvest"); but she also contributes two new titles in her string of beautiful love songs, "Los que se Aman" ("Those Who Love") and "No Dejo de Quererte" ("I Don't Stop Loving You"). The duo also links Bermejo's "Décima Muerte I" from their first duo disc and "Décima Muerte II" by the Mexican poet and playwright Xavier Villarrutiga in a medley linked by a powerful Greenspan solo. 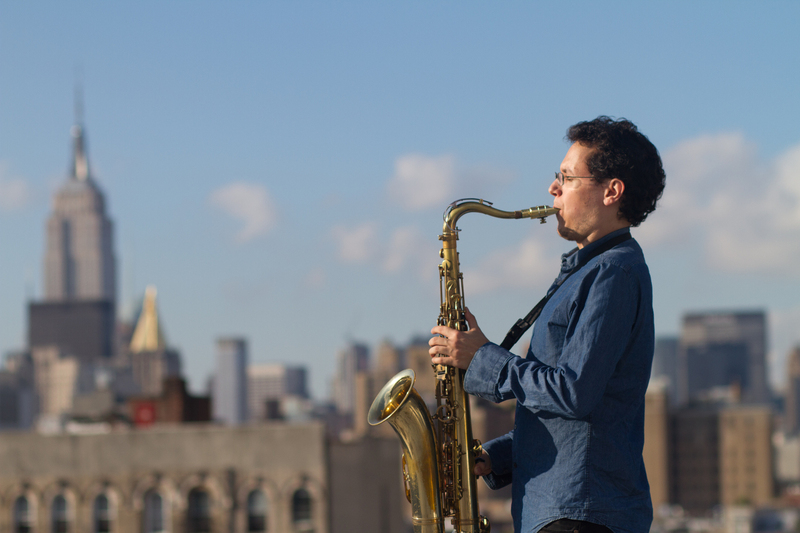 Greenspan's bass also launches "Las Orillas del Mar" ("At the Edge of the Sea"), a 13th Century feminist poem with music by Hafez Modirzadeh, the composer-saxophonist who featured Bermejo extensively on his acclaimed 2011 album In Convergence Liberation (Pi Recordings). "Working with Hafez is the most challenging thing I've done," she notes, "and it has opened both of our minds. Now I'm improvising more, though not `taking a chorus' in the traditional sense." This new improvisational freedom is joyously displayed on "Tres Veces Heroica" ("Three Times Heroic"), written by Mexican composer Charlie Dríguez and previously heard on the 2006 live recording De Tierra (Of Earth) (Ediciones Pentagrama), and "End of the Beginning," written for the duo by the Armenian-born pianist and composer Vardan Ovsepian. "Windmills of Your Mind," by French composer Michel Legrand with Spanish lyrics by Manuel Gurria, was also arranged by Ovsepian. "Vardan's arrangement got Dan back in shape after his injury," Bermejo notes, adding with a laugh, "it also made me get back in shape." Two works from Argentina are included, "Equipaje" ("Luggage") by Juan Quintero and "Cambalache" ("Pawn Shop") by E. Santos Discépolo. The latter, a classic tango, gives Greenspan the opportunity to display his skill with the bow. "Candombe para Gardel" ("Candombe for Gardel"), a tribute to Argentinian tango master Carlos Gardel from the Afro-Uruguayan perspective of Rubén Rada, completes the program. Arte del Duo is Bermejo's fifth release on Mexico's Ediciones Pentagrama label, which recently received the Independence Award from the Fundación Mediterránea Mar y Tierra in Tarragona, Spain. "We've stayed faithful to the vision of [label founder] Modesto López: Independence and 35 years of support to Latin American artists dedicated to progressive social change," she notes. The album will be released at the Lilypad on Sunday afternoon, October 23, where a new audio system created especially for the duo by sound engineer Art Steele will enhance the performance. "I asked Art for a minimal system, with just two small speakers, Greenspan explains. "Now my hands are free, just like my mother's were when she sang," Bermejo adds. Creativity, and the magic that ensues, remain at the heart of Mili Bermejo's and Dan Greenspan's music; and Arte del Duo is their most creative and magical statement to date. 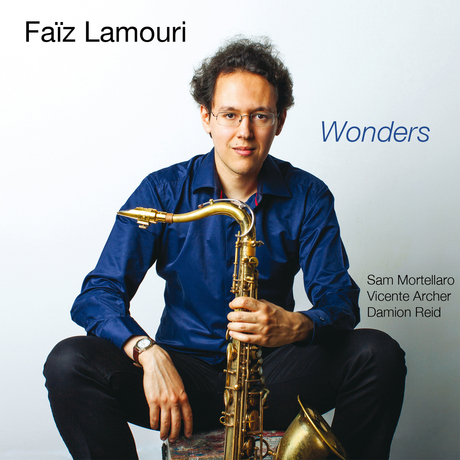 French saxophone player Faïz Lamouri began the study of saxophone and music at a very early age. After eight years of classical studies, he became interested in jazz through musicians like Paul Desmond, Lester Young, Charlie Parker, Sonny Rollins and John Coltrane. Faïz received a scholarship in 2008 to attend the prestigious New School for Jazz and Contemporary Music in New York. There he refined his craft with internationally renowned jazz musicians including Mark Tuner, Reggie Workman, Abraham Burton, Joel Frahm, Vincent Herring, Wayne Escoffery and Andy Milne. Faïz graduated with honors in May 2011 from the New School. In New York, Faïz also performed regularly with his own band in famous Jazz venues. He was notably featured at the Iridium Jazz Club as part of their Rising Stars Series. Faïz moved back to Paris in 2013 and continues to perform in Jazz clubs and Festivals around the world. Comprised mostly of his original compositions, his debut album transports the listener into a highly captivating and creative musical universe. It also brings together world class musicians such as bassist Vicente Archer and drummer Damion Reid as well as talented Italian pianist Sam Mortellaro. Vicente and Damion play together since the early 2000's and are an essential part of today's jazz scene. Just like them, Faïz and Sam shared the stage around the world for many years. The recording of this album was thus a true dialogue between musicians who share a deep connection. Jazz is created in the moment and with great complicity. It is an essential condition for it to convey sincere and intense emotions to the listener. And that’s exactly what Wonders do.